The main anti-vehicle part of my Throne of Skulls army was filled with a squadron of two Vindicator Laser Destroyers. Being Iron Hands, they can take the “Blessed Autosimulacra” upgrade which can repair hull point damage at the end of the turn. 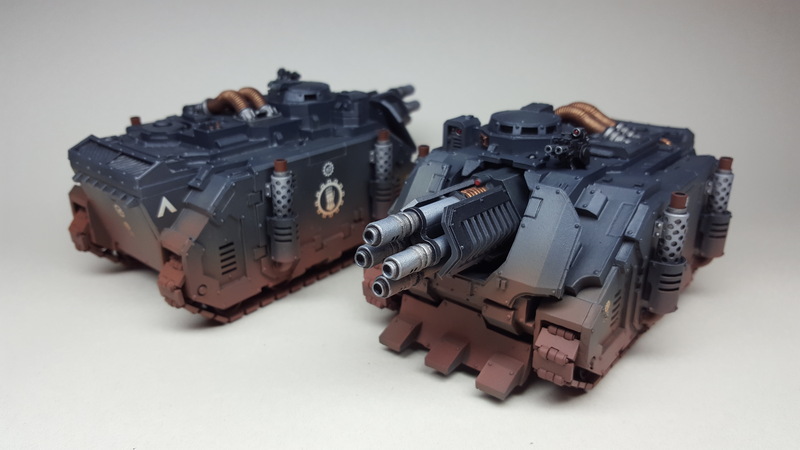 If you choose, the Vindicators can remain stationary and fire multiple shots but at a risk of taking a hull point, the Blessed Autosimulacra upgrade helping to mitigate this. 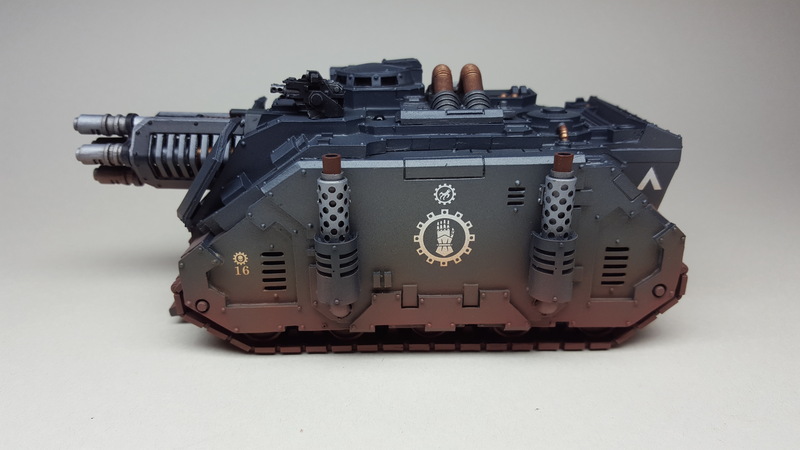 Previous Previous post: Legion Medusa Artillery Squadron. 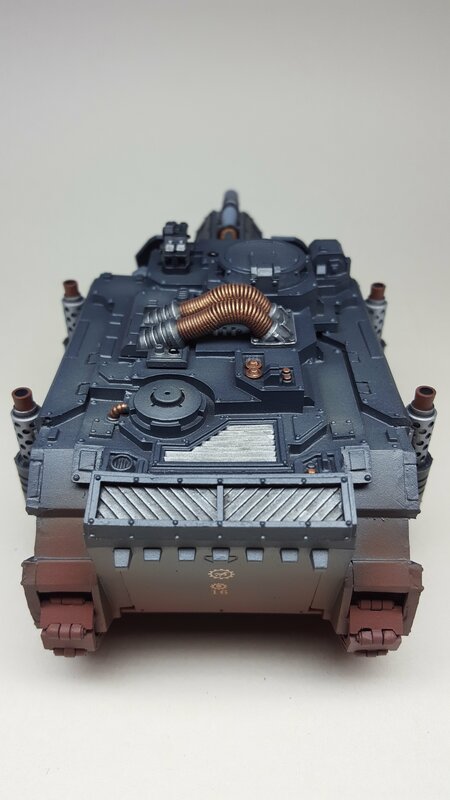 Next Next post: Legion Damocles Command Rhino.